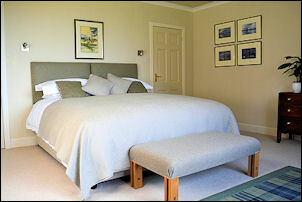 Wemyss House has two King-sized Double Rooms and a Superking Double which can also be set up as a Twin. All rooms are en-suite. All are ensuite and have special attention to detail. 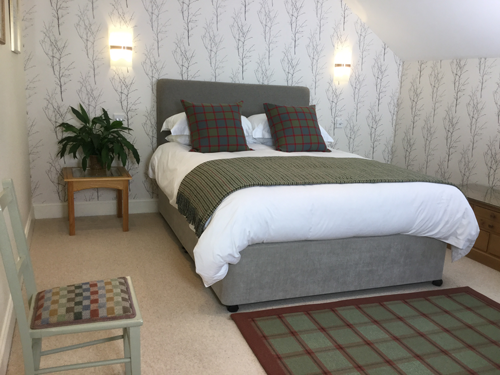 Each room is stylishly designed with Stuart’s handmade furniture, Highland rugs, pottery, tweeds, and original artworks. 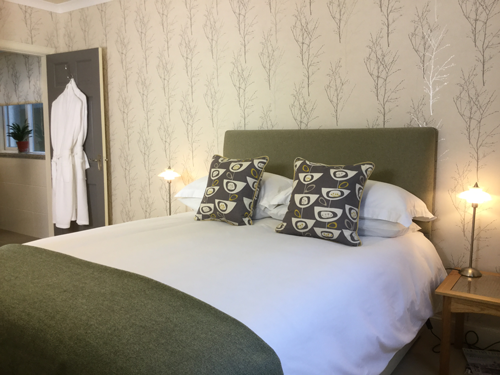 Luxury toiletries, pure cotton linens and towels, gowns and slippers, drinks tray, TV and wi-fi complete your experience.